Mayor Rossi shares a photo-op with New York Mayor Fiorino La Guardia. 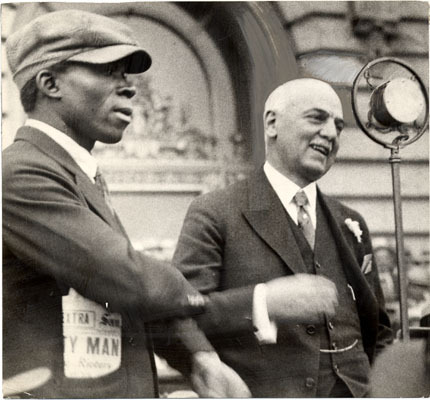 Henry Shepherd speaks for the unemployed in 1931 City Hall rally, with Mayor Rossi at his side. An abuser of bureaucratic delaying tactics against the Raker Act throughout his term of office, Mayor Rossi made several trips to Washington to lobby for unreasonable extensions, meetings, and proposals. 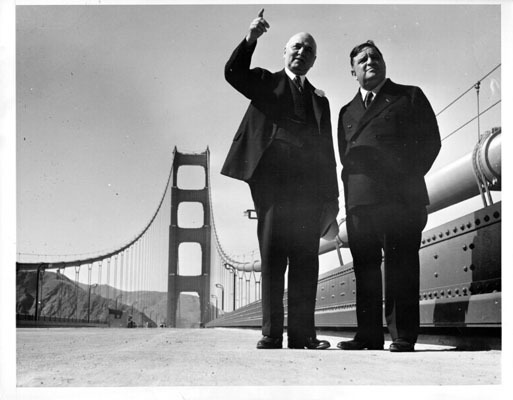 During the 1934 General Strike he answered AFL President Green's protest of SF police violence by saying: "The police of San Francisco were never the aggressors ... They fought only to protect life and property and to suppress rioting and violence." But an eyewitness reported that on Bloody Thursday the police "were ALWAYS the aggressors... They damaged property at the Seaboard and at half a dozen other points along the Embarcadero; they destroyed life at Steuart and Mission; they were repeatedly guilty of initiating violence. Such rioting as occurred was the direct product of their own aggression." Rossi organized the Committee of 500, made up of business and professional men, to assist in moving trucks during the General Strike. 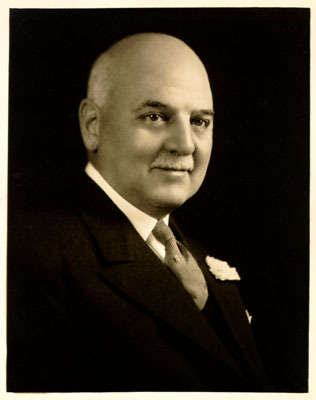 At the conclusion of the General Strike on July 19, 1934, Mayor Rossi spoke over a nationwide radio hook-up: "I congratulate the real leaders of organized labor on their decision and the part they have played in ending the general strike. San Francisco has stamped out without bargain or compromise an attempt to import into its life the very real danger of revolt... We will deal effectively with the small group who opposed peace and plotted revolution."